With over 40 years build experience BELLA are proud to offer this smart designed home which is budget friendly and perfect for a busy lifestyle located in the new Arundel Springs estate. Home & Land packages selling under $500,000 are rare these days in this central location! 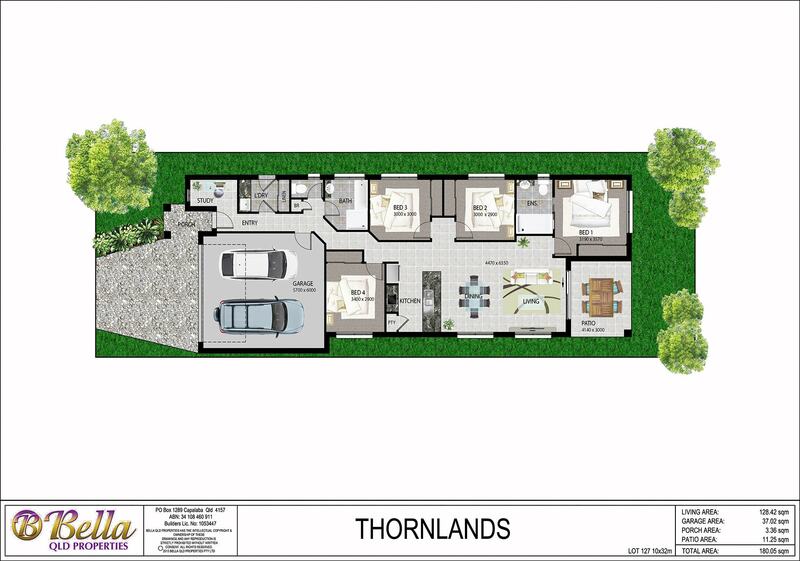 Our THORNLANDS home is one of Bellaâ€™s newest designs and boasts easy care living with stylish mod-cons. There are 4 bedrooms with the master to the rear, double garage, study area, 2 bathrooms, separate laundry & open plan kitchen/dining/living that leads to the outdoor alfresco area. The modern kitchen features Roman Stone bench tops with Omega Stainless Steel appliances and pantry. This home has all you need and is competed with Bellaâ€™s Freedom Inclusions worth $22,500! Deal directly with the builder and experience our personalized friendly customer service. REGISTERED LAND IS SELLING FAST SO YOU MUST BE QUICK!